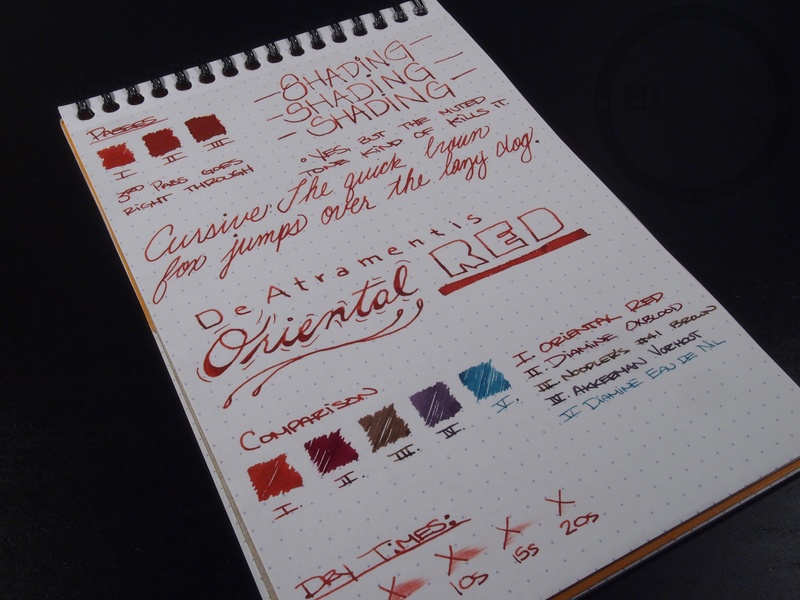 Diamine Matador Red – a better red. 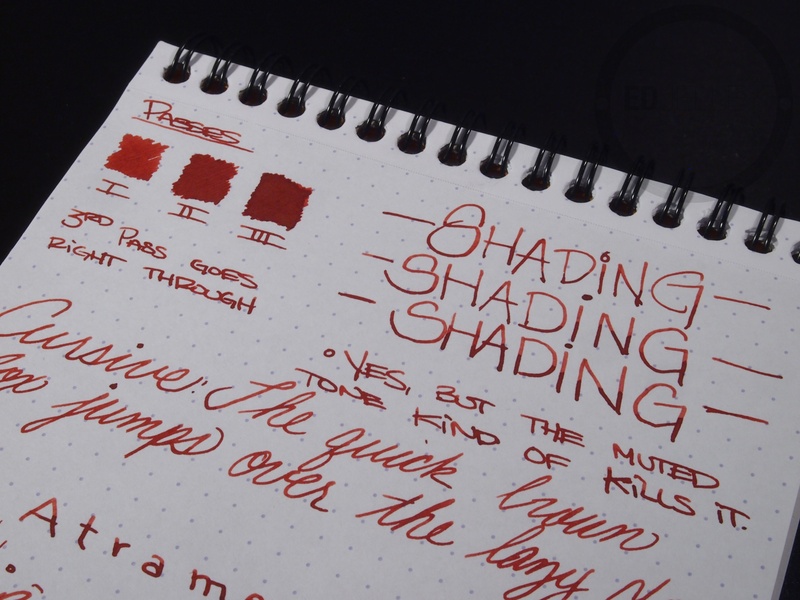 Diamine Oxblood – my favorite red. 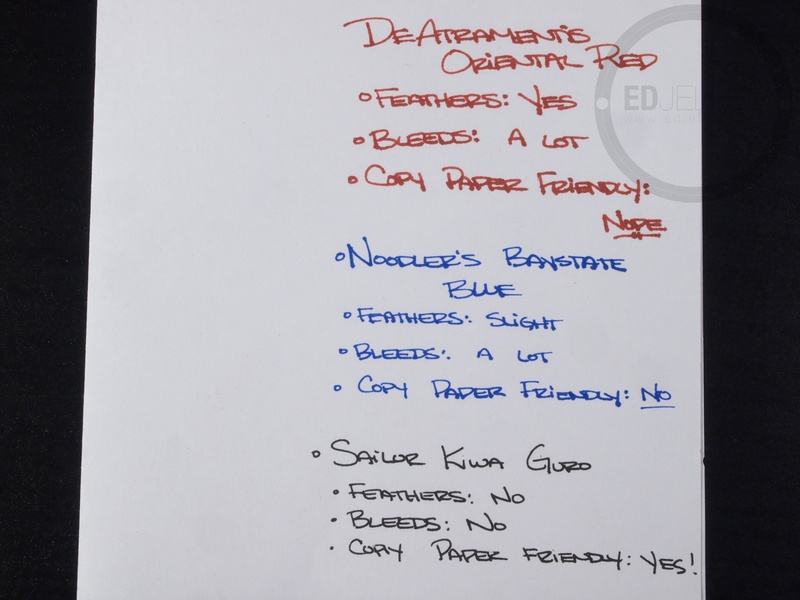 Rohrer and Klingner Morinda – a comparable red. I didn’t like this one, either. It just looks flat and boring. 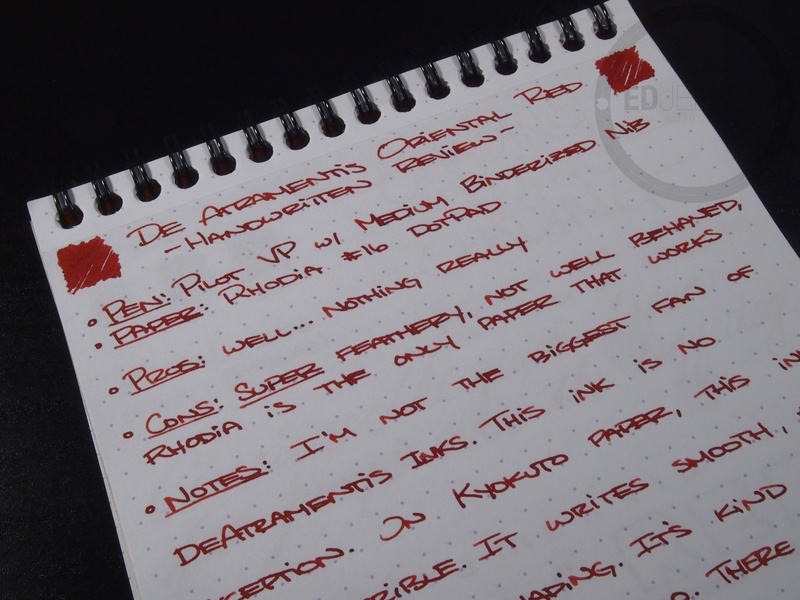 I didn’t have the bleed-through that you did, though. 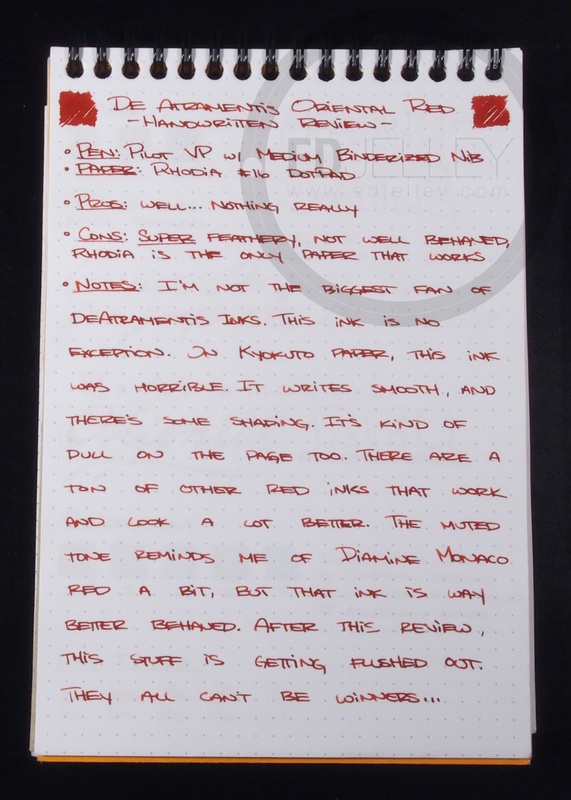 I reviewed on Rhodia, though. 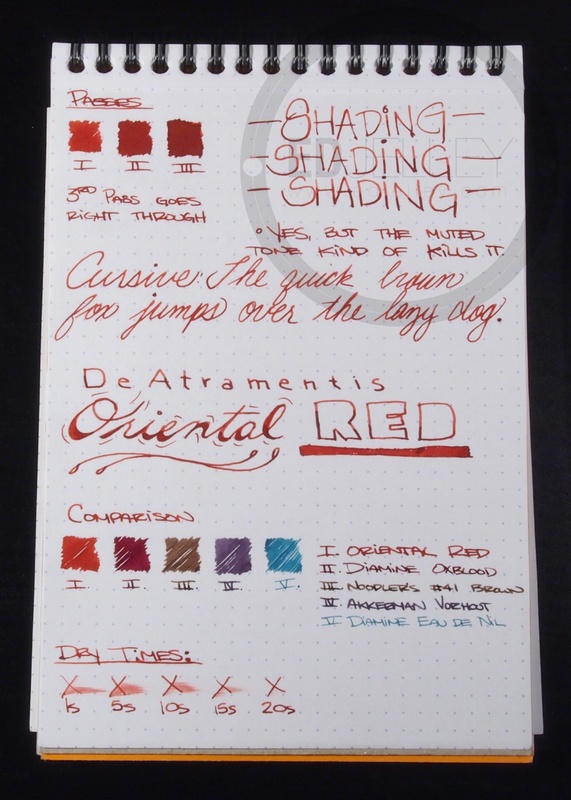 I don’t remember how much I used this ink otherwise. 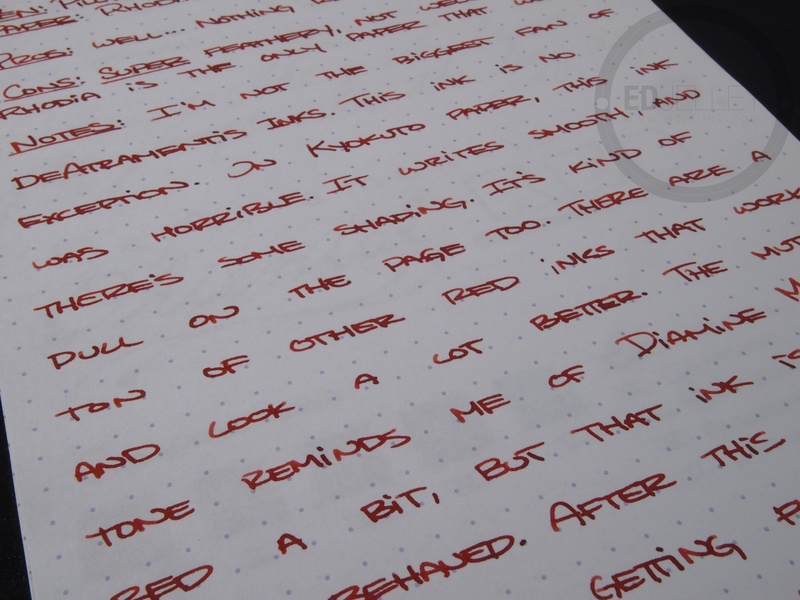 Yeah, it was just blah. 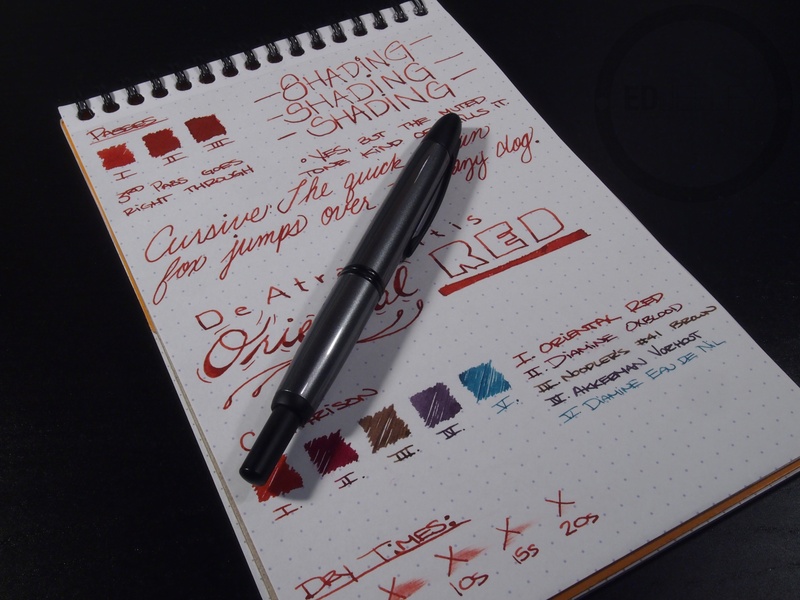 It was fine on Rhodia, everything else was awful haha. Not a big De Atramentis fan. Such a shame. 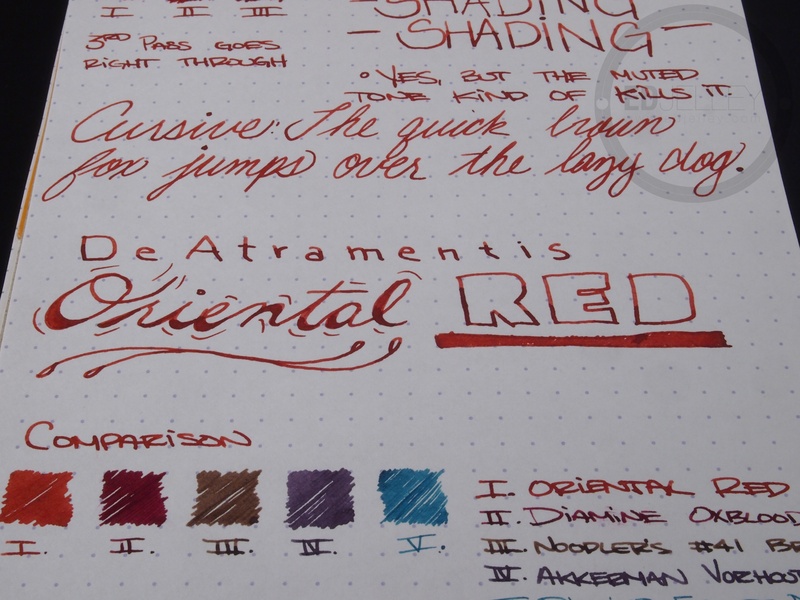 I have yet to find a red ink I like. I was going to try a sample of this, but your review has made me doubt. Oh well. Back to the drawing board….. There are definitely much better out there. 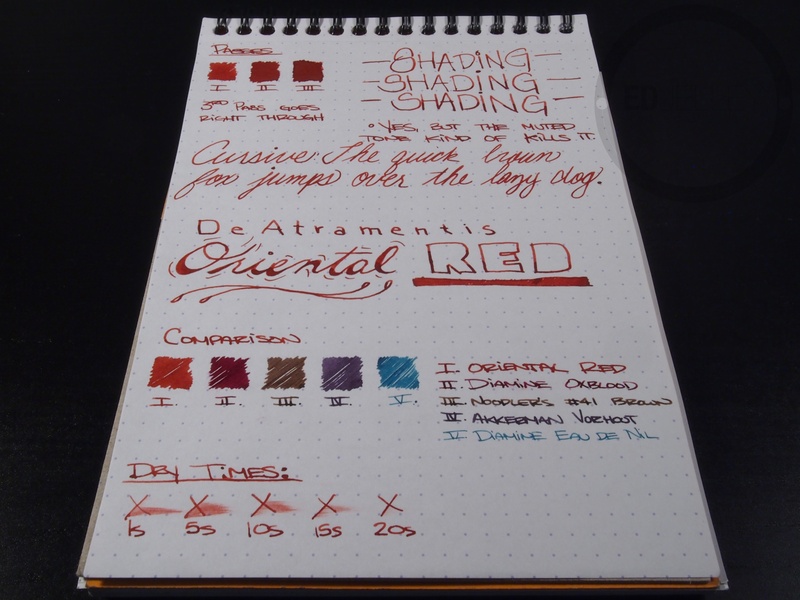 If you like the shade, try out Diamine Monaco Red or Rohrer and Klingner Morinda Red. Both are similar but with much better performance!